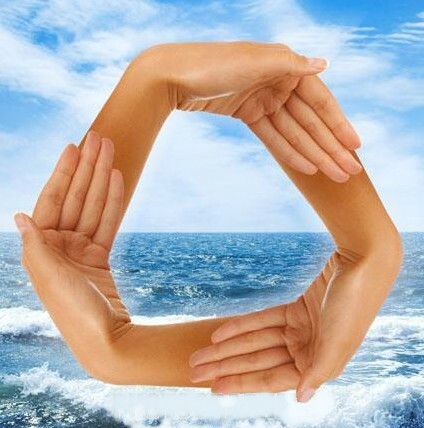 Chiron moves into Pisces today flowing for the next eight years through the luminously fluid sea of Neptunian waters. How are we going to embody Chiron's archetypal energy that has been dubbed 'The Wounded Healer' - what healing might take place as we journey through these next years that will lift us all beyond a sense of Wound. 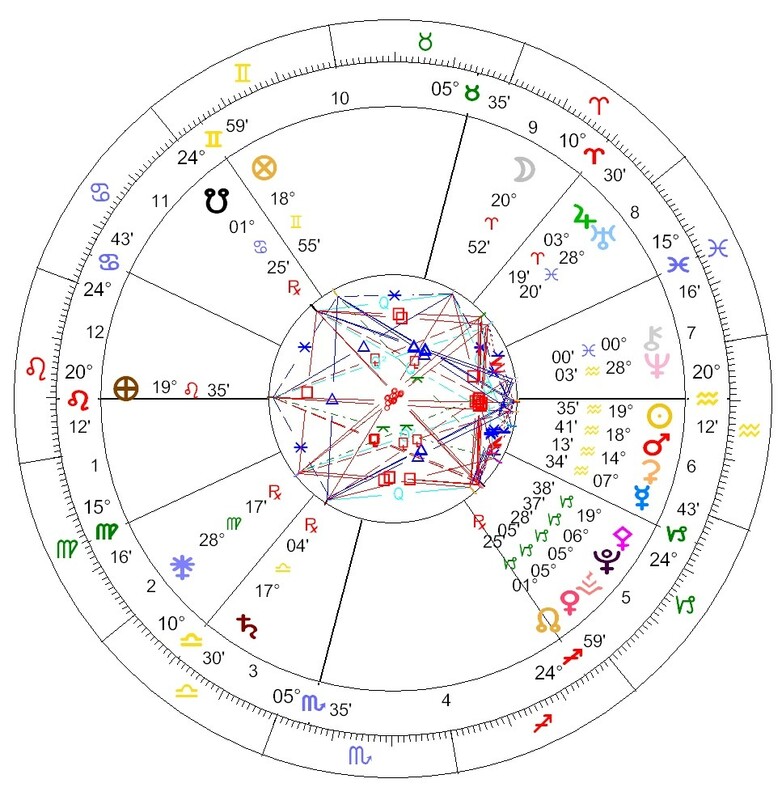 To get an idea of the potential we have during these eight years, as a group and as individuals it is worthwhile looking at the chart of Chiron's entry into Pisces and the underlying belief patterns that have already been built up around this maverick cosmic energy. Chiron breaks the rules - it does not follow Newtonian physical laws with regard to its orbital path within the Solar System - or with regard to anything else for that matter. Chiron takes us beyond physical 3D appearance and links us into other worlds - it is a gateway into the transpersonal. Chiron is the key that links us into one unified field where Body Mind and Soul become One. Chiron's resonance bridges the physical and meta-physical realms, healing, synthesising and fusing particles of both matter and light within the physical form. Chiron opens us to experiencing life through our Hearts. It take us into an awareness way beyond personality, into the core of our essence, into all that is held within our cellular unconscious field, where countless gifts await us. 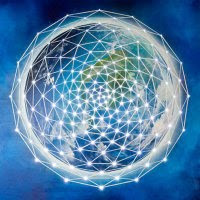 When we are living out of alignment with our true state of being - when we believe we are simply physical human beings without any sense of Spiritual/Universal connection - then Chiron transits will create disturbance and pain. So is it any wonder then that for many on the Planet - Chiron does indeed appear to wound - for so many on this Planet are deeply disassociated from the Truth of what it is to be a Human Being. The gift Chiron offers us is to bring to light that which we have have chosen to disassociate from and to reconnect us to our true potential. Chiron is an initator into expanded consciousness - a consciousness that recognises that we are energetic/spiritual beings whose Essence/Soul cannot die and that we are all co-creators within the Universe. All sense of separation dissolves within this greater awareness and so, through the next eight years, we have the potential to bring this awareness and truth to all that we meet. There are many Souls on the Planet now who have waited for these times, over many lifetimes. They came embodying the essence of Chiron - they are the Way Showers - The Bridgers - The Awakeners - the ones who have come to usher in a change of consciousness. The Chart for 8th February echoes these themes - the chart holds the seed for what is to unfold over the coming eight years. At the time of Chiron's ingress into Pisces - the Sun and Mars are conjunct in Aquarius - the Sun at 19 Aquarius has as its Sabian Symbol image 'A large white dove bearing a message' - the dove symbolizes peace and over these coming years we will see, through the sustained intent, love, awareness and effort of many, Peace becoming a central focus for all on Earth. The time of wars, division and separation draw to a close - the consciousness that sustains such acts of disharmony will not be sustained. Jupiter is in Aries - giving a strong sense of personal will, but Jupiter is also close to Uranus in Pisces which asks for this personal will to be allied to a higher Universal principle - so that each of us brings our energy, joy and enthusiasm to living in highly creative ways that support an open and beneficial society. 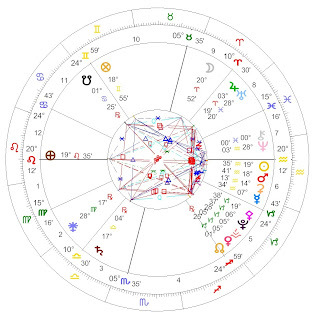 Jupiter in Aries conjunct Uranus can also bring about great disruption. From a mundane level, much of this energy is being expressed in Egypt at this point in time as the Egyptians have gone out onto the streets to bring about change in their society. As we watch from the sidelines we can hold the loving intent for a Society to evolve that allows all to live in peace and to express openly their individual truths, with respect and goodwill, and we will witness the level of this group consciousness as it unfolds over the next years through this ancient civilization. This theme is the same for both individual and group consciousness - all of us will be playing our part over the coming years to create the future - Chiron asks that we lift our eyes to the far horizon and bring forth the dreams that we have carried for so long, so that they may manifest here and now on Earth. Each of us holds a part of the dream and each of us has the potential to manifest it for the benefit of all. So let's open our hearts and minds wide to this Chiron cycle through Pisces for we are being washed with the purest Consciousness, Grace and Light.